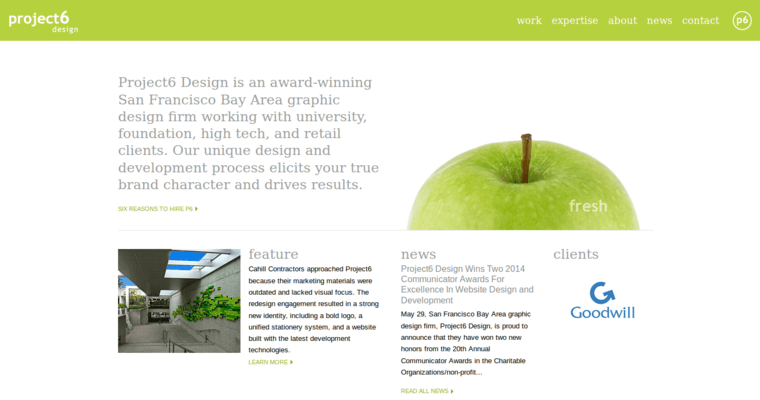 Project6 Design is an award-winning graphic design company based out of the San Francisco Bay area. The company, established in 2001, works with a variety of retail, high-tech, university and foundation clients to build brand character and drive results. Project6 Design starts each project by obtaining a clear understanding of the client's business so that they can create the perfect strategic solution and meet their needs. 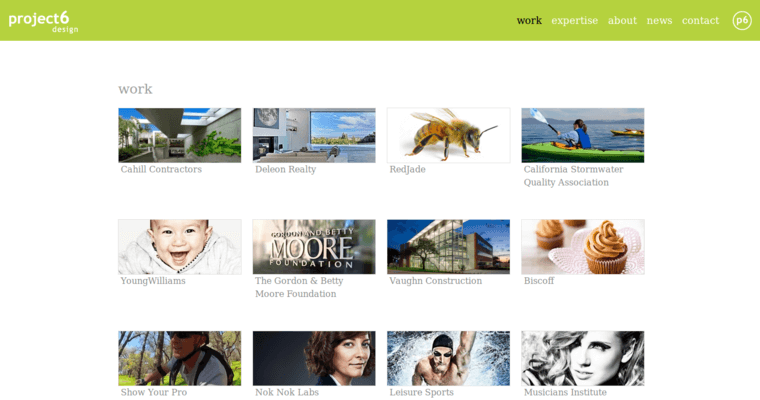 In addition, the company works collaboratively with their clients to incorporate feedback into the design. Once the scope of the project has been determined, Project6 Design creates a timeline and budget with weekly status checks to keep track of their progress. The company's team works in small groups with a lead designer who receives support from other team members including a project manager. 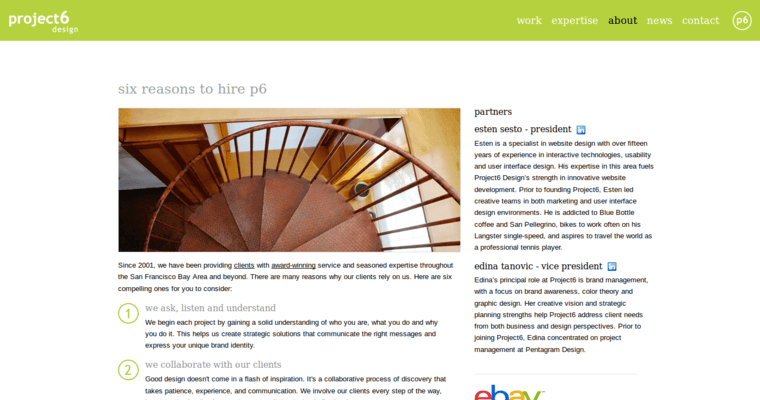 Project6 Design has the unique aspect of not having a sales team and only accepts those projects that fit their core skills.